How long have you been a volunteer at the street and shelter ministry? When do you go and for how long? We started off with a street ministry in February 2011. We had a group of four that would go out each Thursday evening with a meal. We would visit various parks and subways and eat, pray and chat with the homeless people living there. After a year of the street ministry and after helping to assist a few homeless friends in to various shelters, we decided to move the ministry to the Wynberg Haven night shelter. We have been doing the shelter ministry there for about 8 months now. Can you explain what you do while you’re there? We have a 4 week schedule set up. One week we have a Bible study, the next a worship session, the third week is a tough questions session and then we end off the month with a general knowledge quiz night, where the guys and girls stand a chance to win Checkers shopping vouchers. We usually start off and end with prayer, sometimes breaking off into pairs to pray into one another’s needs and the week ahead. Can you tell us a bit about the shelter ministry? The shelter ministry is really about a group of people gathering together to love other people. The ministry is all about forming friendships and praying for one another. Often we’re there just to listen, sometimes to give advice but mostly to help point them towards the one who can ultimately help and save them. What are some of the challenges of serving those living on the streets or in shelters? Many of the people we have connected with are bound by addictions, mental illnesses or backgrounds that have hardened their hearts. I think one of the biggest challenges has been to listen to God’s discernment and wisdom in trying to best love the different people we meet. To have firm boundaries and speak truth into people’s lives, but let it be coated in love and grace. What do you appreciate the most about volunteering with the ministry? I appreciate the authenticity of most people we meet. Although many of them have had incredibly tough lives, they love Jesus in such a radical way that you can’t help but be humbled and inspired by their attitudes and authentic love for Christ. If you’re keen to find out more about the Street & Shelter Ministry, visit their Facebook page here. 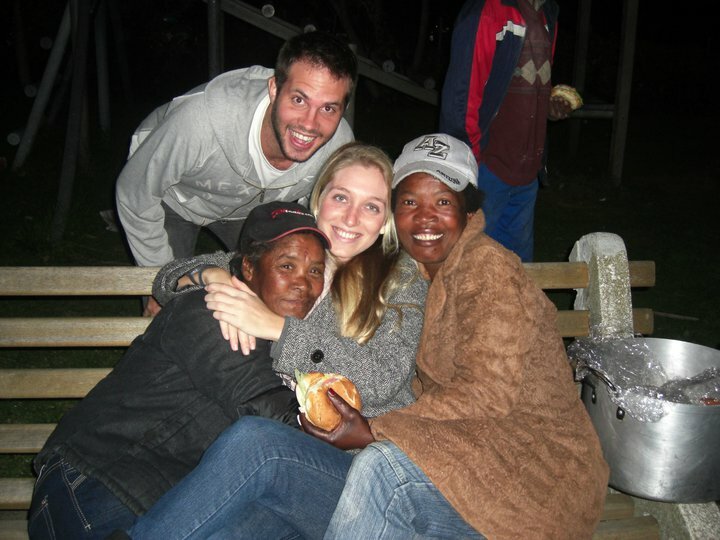 Once a week a group of us head down to the Wynberg Haven Night Shelter for an hour to hang out with the people there and teach them about Jesus. In our weeks there we’ve made friends with many of the guys and shared in their struggles. We rotate between Bible study, tough questions, worship, and a quiz night each week, so that we have something prepared. 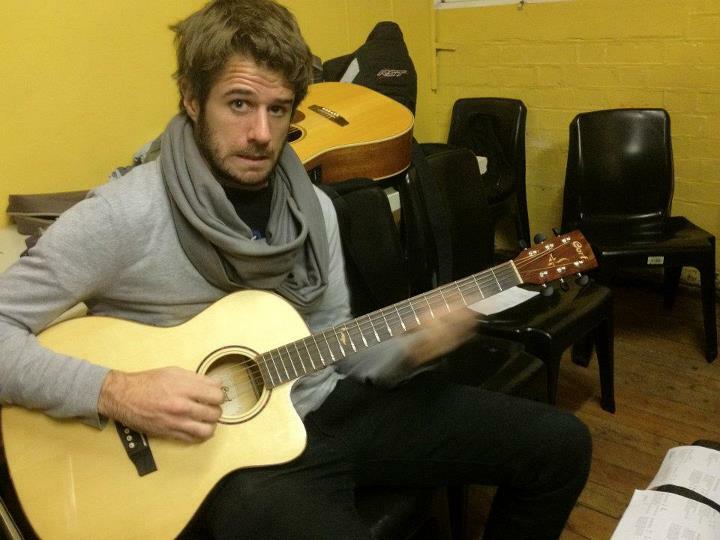 A few weeks ago we brought our guitars for our customary, once-every-four- weeks, worship/prayer session. I always look forward to these weeks, but I’m biased because I get to play guitar and sing. We arrived at the shelter at 6:30 and walked into the communal hall, greeting all the familiar faces and finding out how their weeks had been. After we’d sufficiently greeted everyone, we set up the chairs in a circle and all sat down to enjoy some time with Jesus. We started playing through the songs we had prepared, and as the numbers grew, so did the noise factor. Eventually, by the third song, people were singing at the top of their lungs, stamping their feet and slapping their chairs in time to the music. I looked around me and saw the joy on everybody’s faces as they were singing their hearts out. It was truly a moment so full of the Holy Spirit, and I felt like Jesus was there singing, stamping, and slapping chairs as well. Eventually, the manager of the shelter has to ask us to start winding down because we had been going for an hour and a half. One of the following weeks we went back for a Bible study. 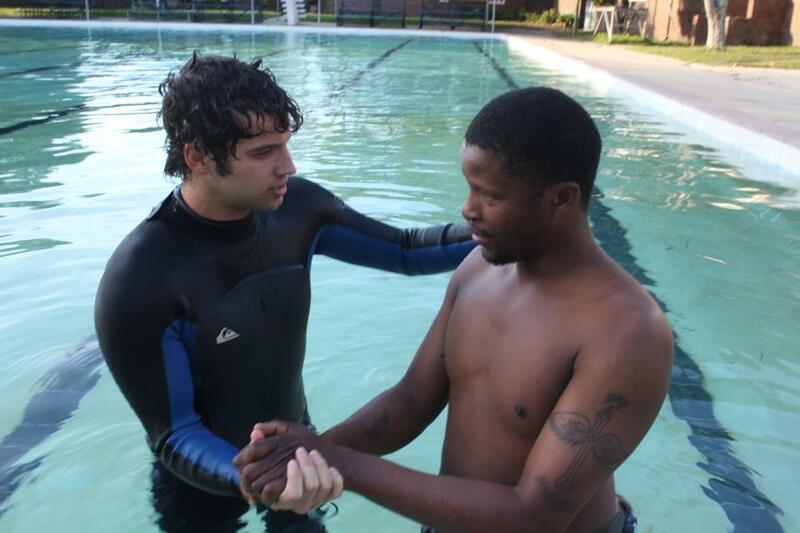 After the session one of the guys, Mustafa, told us that he wanted to give his life to Jesus. Sam and I prayed for him and you could just see the love that Jesus had for this man. We are all so honoured to be a part of what God is doing in these people’s lives, and we are so grateful that He’s trusted us with showing them the love that He has for them. It is amazing to see God working in everyone who’s been a part of this, volunteers and shelter residents alike. We are so excited to see Him do more. Do you have a heart for people living on the streets or in a shelter? The Street and Shelter Ministry is a great way to meet people from various walks of life and serve in a team of like-minded (and -hearted!) people. Email info@commongood.org.za to find out more. In this month’s update from the street and shelter ministry, we take a moment to praise the work God is doing in the lives of people, like Mashudu, through this team. Read on! When starting the street and shelter ministry little over a year ago, one of the first people we came across was a man by the name of Mashudu. Over the past year, we have had the privilege of witnessing the work of the Lord in his life in amazing ways. Mashudu (also known as “Lucky”) found himself on the streets of Cape Town after leaving his home town in Limpopo. The reason for him leaving was to seek employment in a “bigger” city in which he thought employment would be readily available to him. Like many South Africans, Mashudu struggled to find basic employment. This was simply because of his lack of tertiary education and communication skills. Without any income Mashudu struggled to provide for his basic needs of food and housing. As a street and shelter ministry team we were able to share the gospel with Mashudu. Mashudu made the decision to follow Christ and found a new hope that had no end. 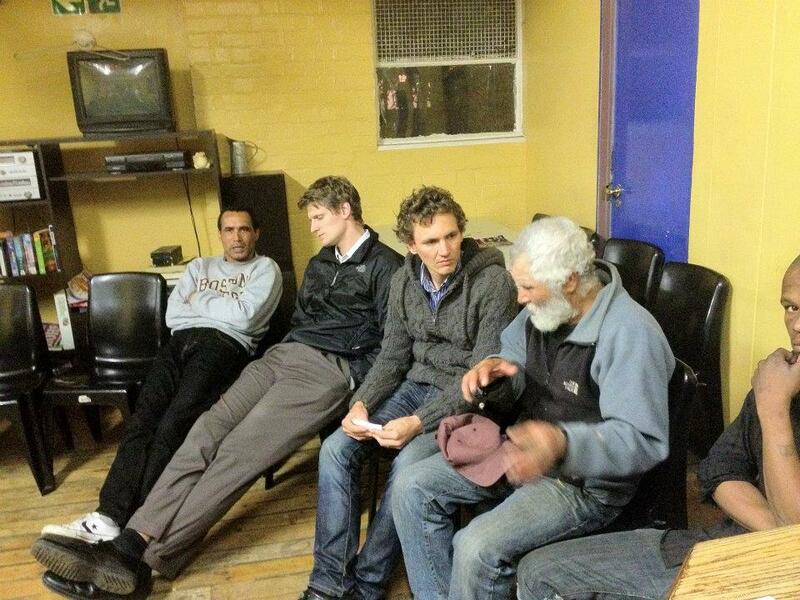 We found space available in the Kensington Haven Night Shelter, where the basic needs of Mashudu could be met. We so loved observing the growth taking place in Mashudu’s life. It was such a privilege to witness God maturing him with a Christ-centred perspective through all of his circumstances. Mashudu, while attending Common Ground Church, also had the privilege of taking part in Network. Network is an organisation that aids people with developing basic job skills in order to find employment. After seeking employment for many months, Mashudu found work in a security company and was able to find adequate income. After some time he was then able to find a more secure form of employment through a different security company where he now currently works. 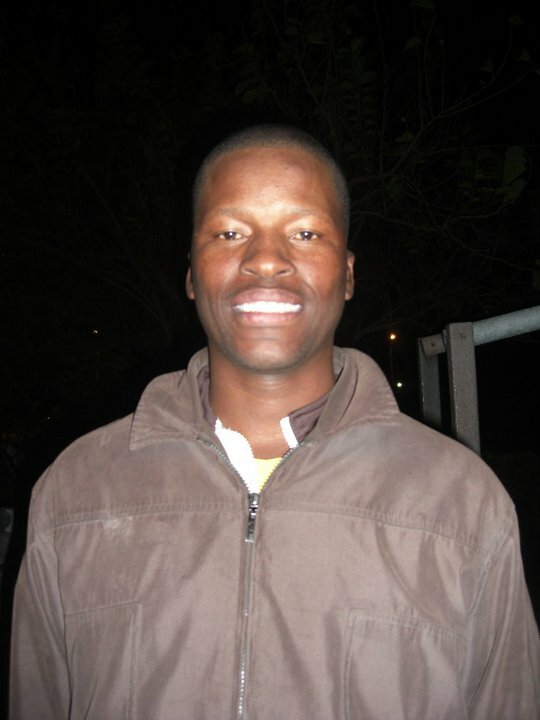 Mashudu is staying in Wynberg at the moment and is part of the Common Ground Church Wynberg congregation. The most encouraging part of this story is that Mashudu still relies on Jesus Christ as his provider and has found treasure in walking with his heavenly father. This transformation has allowed him to find his security in Jesus and not in employment, no matter what circumstances may arise. Please leave a comment of encouragement for this team. For more info on the street and shelter ministry, visit their Facebook page.